Cochin is a major port city of India, and there is a lot for a traveller to discover in this bustling cosmopolitan destination. 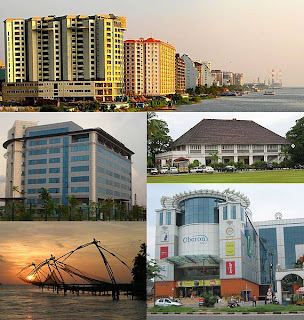 Cochin, also known as Kochi, is the cultural and financial centre for the state of Kerala in India. It has grown rapidly over the last couple of decades, and evolved into a world class tourist destination with a lot to offer the visitor. It is also situated ideally close to the equator, and surrounded by sea and mountains, gifting it with a moderate warm climate. If you are travelling through Cochin, you will easily be able to fill your itinerary with sightseeing, museums, parks, and other attractions. In fact, there are so many things to do in Cochin that your only problem will be trying to fit them all into your time there! · See the Chinese fishing nets at Fort Kochi. The tall pillars of these strange, old-fashioned nets look like the long legs of shore birds as they lean outwards from the beach. These styles of Chinese fishing net are unique to the city of Cochin, and were brought here by traders from the court of Kublai Khan. Local fishermen still earn their living using these enormous contraptions that span the coastline from Fort Kochi to Vypeen. · Eat fresh fish on the beach at sunset. Stroll along Fort Kochi beach and soak in the atmospheric setting, and sample some incredibly fresh seafood from the tiny coastal stalls along the way. · Learn about the history of Kerala. The Museum of Kerala History has a 40 minute sound and light show that will tell you all you need to know about the interesting history of this region. · Visit an eco-tourist village. In Cochin, you can visit Kambalangi Integrated Tourism Village, where you can experience the authentic rural culture of the native people of Kerala without disturbing their lifestyle. You can take a canoe ride through a mangrove forest and fish with the locals. You can also visit the Mastyafed Milky-Way Aqua-Tourist Village, which is a shrimp-farm where you can fish for your own fresh prawns and crab, as well as sunbathe, swim and partake in a sunset picnic cruise. · Admire a beautiful temple. There are many gorgeous and tranquil places of worship in Cochin with beautiful architecture and religious art to enjoy. The Thrikkakara Temple in the only temple in India devoted to the Hindu deity Vamana, and if you visit during the Onam Festival you can watch some traditional performances and enjoy a feast. Another notable temple is the Tirumala Devaswom Temple which holds the second largest brass bell in Asia. · Meet a friendly elephant. The Kodanadu Elephant Training College is a place you will never forget. See the adorable baby elephants that live in the orphanage, which will likely play a ball game with you if you are so inclined. This article merely scratches the surface of what there is to enjoy in Cochin, as there are plenty more adventures to be had. 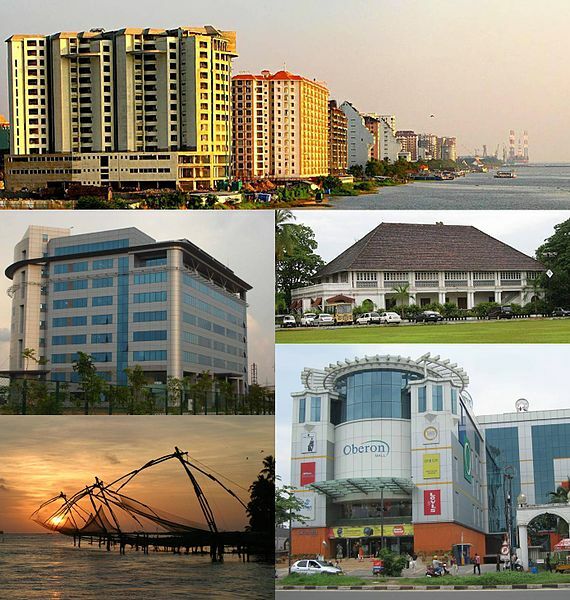 Go ahead and visit Cochin and see for yourself! Cochin International Airport is the largest airport in Kerala and one of the major gateways for all visitors to India. There are many international flights servicing this airport, especially during the tourist season. For example Etihad airways offer both direct flights to Cochin and flights to India. I can’t fly with one wing. But I can’t go hungry either, and I already ate both the legs, the breasts, and the other wing.